“One of the most influential professors in the shaping of contemporary theology was Peter Abelard (1079-1142). Abelard is partly responsible for giving us ‘modern’ theology. His teaching set the table and prepared the menu for scholastic philosophers like Thomas Aquinas (1225-1274). Page 206: “Concerning the seminary, we might say that Peter Abelard laid the egg and Thomas Aquinas hatched it. Aquinas had the greatest influence on contemporary theological training. In 1879, his work was endorsed by a papal bull as an authentic expression of doctrine to be studied by all students of theology. Aquinas’s main thesis was that God is known through human reason. He ‘preferred the intellect to the heart as the organ for arriving at truth.’ Thus the more highly trained people’s reason and intellect, the better they will know God. Aquinas borrowed this idea from Aristotle. And that is the underlying assumption of many—if not most—contemporary seminaries. As a seventeen-year-old atheist, my bible was Aristotle’s Nichomachean Ethics. Being an atheist and embracing Aristotle just made sense. Revelation from God is superior to reason; Christ is superior to Aristotle and Aquinas. There should be no Christian synthesis. Christ is thesis; Satan is antithesis; there is no synthesis. If we are truly surrendered to Christ, we are dissolved into Christ-thesis. There is no Satan (antithesis) and there is no mixture (synthesis). If there is synthesis (Christ plus Satan or Christ plus the world system), then we are conformed to the world, we have lost our salt and we are good for nothing. Pages 215-216: “The Greek philosophers Plato and Socrates taught that knowledge is virtue. Good depends on the extent of one’s knowledge. Hence, the teaching of knowledge is the teaching of virtue. “Herein lies the root and stem of contemporary Christian education. It is built on the Platonic idea that knowledge is the equivalent of moral character. Therein lies the great flaw. “Plato and Aristotle (both disciples of Socrates) are the fathers of comtemporary Christian education. To use a biblical metaphor, present-day Christian education, whether it be seminarian or Bible college, is serving food from the wrong tree: the tree of the knowledge of good and evil rather than the tree of life. “Contemporary theological learning is essentially cerebral. It can be called ‘liquid pedagogy.’ We pry open people’s heads, pour in a cup or two of information, and close them up again. They have the information, so we mistakenly conclude the job is complete. “Contemporary theological teaching is data-transfer education. It moves from notebook to notebook. In the process, our theology rarely gets below the neck. If a student accurately parrots the ideas of his professor, he is awarded a degree. And that means a lot in a day when many Christians obsess over (and sometimes deify) theological degrees in their analysis of who is qualified to minister. Pages 245-246: “As you read through the Gospels, behold your Lord, the Revolutionary. Watch Him throw the Pharisees into a panic by intentionally flaunting their conventions. Numerous times Jesus healed on the Sabbath day, flatly breaking their cherished tradition. 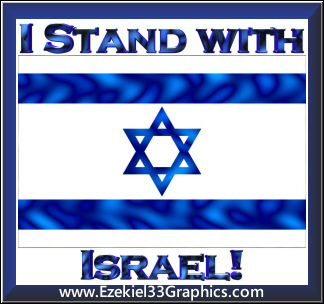 If the Lord wanted to placate His enemies, He could have waited until Sunday or Monday to heal some of these people. Instead, He deliberately healed on the Sabbath, knowing full well it would make his opponents livid. “This pattern runs pretty deep. In one instance, Jesus healed a blind man by mixing clay with spittle and putting it in the man’s eyes. 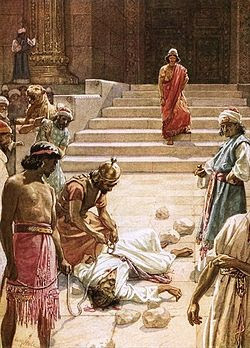 Such an act was in direct defiance of the Jewish ordinance that prohibited healing on the Sabbath by mixing mud with spittle! * Yet your Lord intentionally shattered this tradition publicly and with absolute resolve. Watch Him eat food with unwashed hands under the judgmental gaze of the Pharisees, again intentionally defying their fossilized tradition. The deaf and dumb multitude. Preaches from a proper pulpit. On merciless eyes and dagger teeth. Of their heart of stone. (Though they are my creation). It sticks to the roof of my mouth. This famine is too much for me. The bulls of Bashan have bled me white. I read this book several years ago. I read “Pagan Christianity?” back in 2011. I liked it a lot. Dunamis: I thought the verses from the Mishnah were very interesting. About education. Sometimes I think most kids in schools are like monkeys that learn by rote–they ape or mimic or parrot what their teachers say and do. One man’s education is another man’s brainwash. No wonder so many people believe in the fairy tale of evolution. Sometimes I think that schools are good for teaching kids how to stand in line–literally and figuratively. That was awesome, thank you. I loved this, “Revelation from God is superior to reason; Christ is superior to Aristotle and Aquinas” Can you believe that we actually forget that sometimes? I have met a few aesthetes who had a personal relationship with Aquinas or some other theologian/philosopher, but not a personal relationship with Jesus Christ. Jesus really knows how to separate the men from the boys.